Just when you thought the Bourne trilogy of movies was done, they went and got Jeremy Renner to star in the fourth movie, The Bourne Legacy, a sideways move away from the Bourne character since Matt Damon did not want to continue with the role. Renner played Aaron Cross, a Treadstone operative running for his life after Jason Bourne blows the whistle on the whole subvert operation. The Bourne Legacy was not as well received as the first 3 movies probably due to the lack of Matt Damon as Jason Bourne, so the writers and directors have lured him back with an opportunity to once and for all close the case on Jason Bourne. The closing sequence of #3 The Bourne Ultimatum shows Damon swimming away, but never gave the fans any closure and now this will be the chance for everyone to finally say a definitive goodbye to Jason Bourne. Bourne Free begins 18 months after Ultimatum ended with Jason Bourne swimming away in the East River after being shot and falling from a building. A sequence of cut shots and opening credits lead to the opening scene of Jason coming out of the sea on a Kenyan beach. 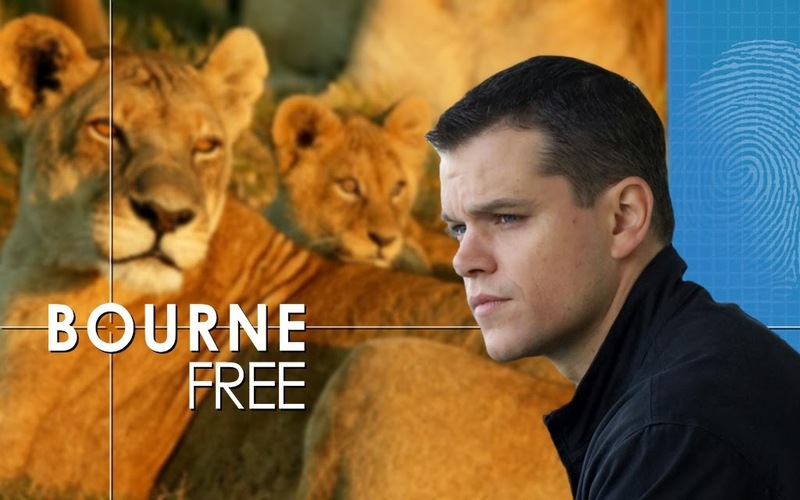 Jason Bourne then spends the next 100 minutes of the movie rehabilitating a hand-reared lioness called Elsa so that she can be released to survive in the wild. Elsa then witnesses the successful assassination of Jason Bourne by a CIA Treadstone agent. She makes her way to New York City, sneaks into Treadstone HQ and rips the faces off everyone before being shot and killed by a New York City zoo marksman. The movie ends (as always) with Moby's 'Extreme Ways'. Questions? Comments? Abuse? Scroll down and use the comments section.